Somewhere in the interiors of Maharashtra, you’re walking on a lonely winding road – no street lights – pitch dark – dense forest – and millions of fireflies glowing like Christmas lights. I saw this magical sight in Purushwadi, a village merely 4 hours from Mumbai. Every year, Purushwadi is host to the Fireflies festival around June-July. Well, it’s actually Grassroutes – an eco tourism organisation that has adopted Purushwadi village and organises this festival to promote rural tourism and bring seasonal revenue to the villagers. I was tracking the Purushwadi Fireflies Festival for two years. Each time, the plan failed. The spectacle lasts all of six weeks in a year and is dependent on the rains which are unpredictable. The male fireflies emit light from their backside as a mating sign to woo the female fireflies during the pre-monsoon period. Hence, July (or the moment the village receives its first heavy shower), this festival is over. In the second week of June 2017, we decided to tick Purushwadi off our list. My sister was in the co-pilot seat. 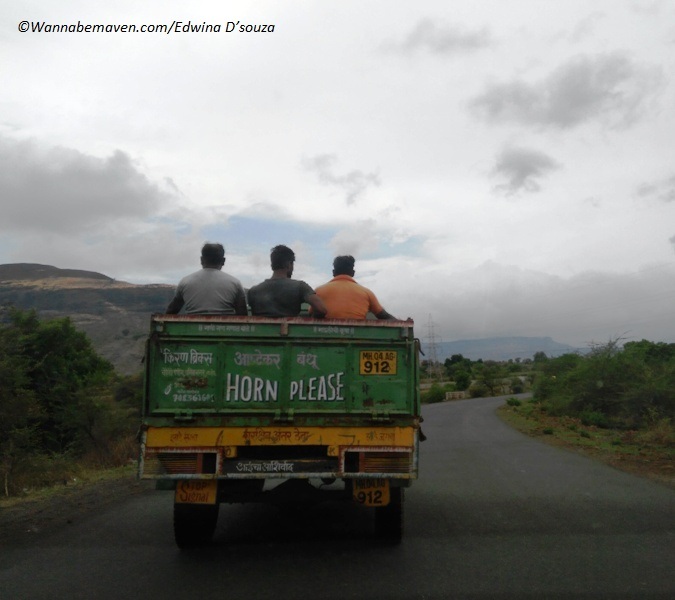 The drive was honky – dory till the Kasara ghat and then we lost our way and 40mins of our time. But we were in no mad rush. On arriving in the village, we were welcomed in true Maharashtrian style – with a tika and Gandhi topi. Quickly a guide was assigned to us who’d show us around the place. Each group that comes in gets assigned one guide. He’s your local villager who knows the place inside out and has loads of stories to share. That weekend, there were 100 tourists in Purushwadi. We had turned the village into an urban civilisation with tents and English toilets and SO MANY CARS. 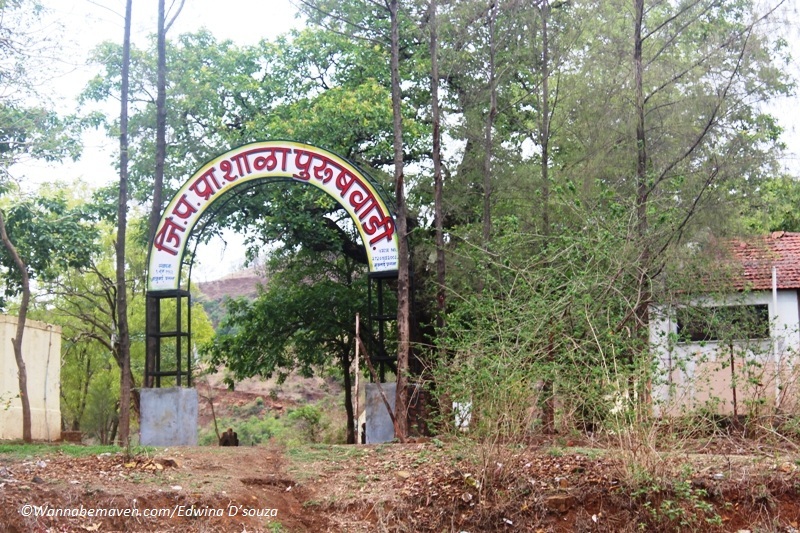 Purushwadi is a tribal village inhabited by Mahadeo Kolis. Their local god is a female deity – Zakkubai…ironic, isn’t it? in a land called ‘Purush’wadi. 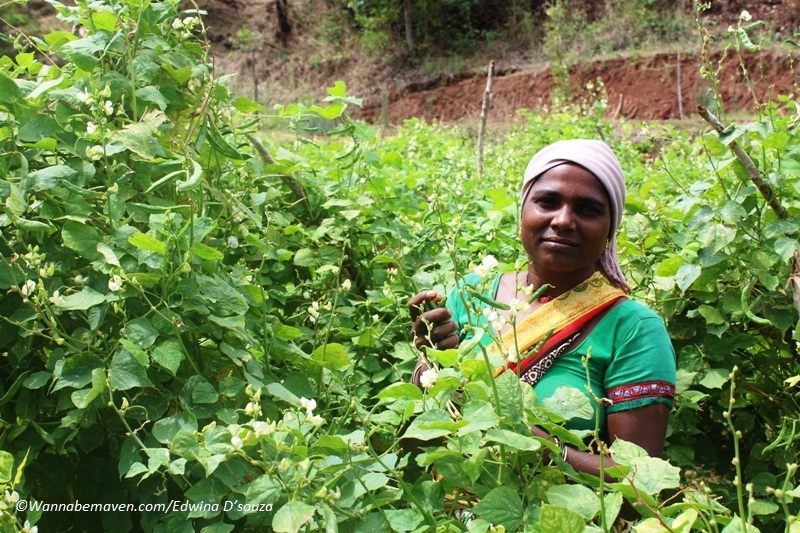 The villagers do sustainable farming for a living. Until some time back, barter was a way of trade for them – goods for goods, groceries for goods, goods for groceries. They’ve adapted to changing times now, and the use of mobile phones and internet has picked up. Our guide, Avinash was a friendly chap in his late-teens. We exchanged stories on hobbies and interests and he animatedly spoke about his love for films and how he travelled 35km with his friends to a theatre in Akola to watch Bahubali. Our host, Jaya worked on the farm with her husband where they cultivated onions, tomatoes and rice. She hosted guests like us to earn seasonal income. Her husband was a farmer by day and an artist at the local jatras by night. Jaya’s home was modest. 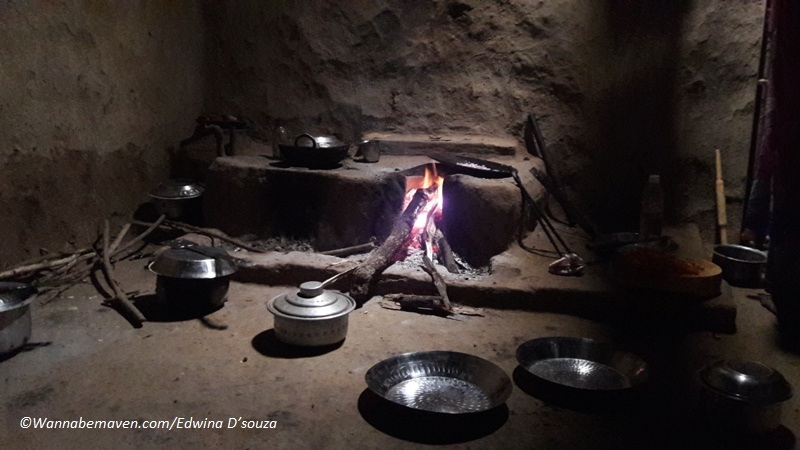 The kitchen had a coat of cow dung and was minimally lit, mostly depending on natural light. The meals were wholesome and organic. On the night of our visit, Jaya prepared us a festive meal of Puran poli and amti (special local green gravy). 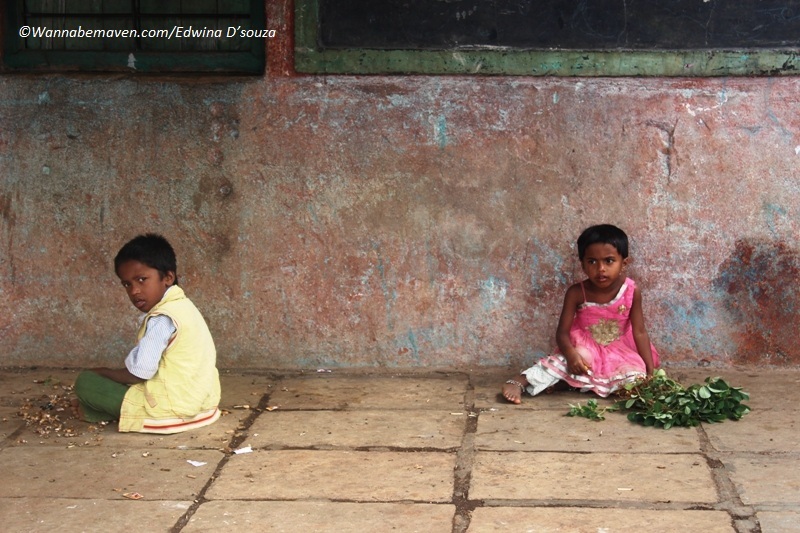 On most other days, their basic meal includes rice, dal, vegetable and raw onion and chilly. It is interesting to learn how the locals get their energy from food in spite of limited resources. The tea is black and sugary for instant glucose. Dal is a staple for proteins. Many of them do not consume milk or dairy products as they believe the milk belongs to the calf. Although, some villagers do entertain whims and fancies of guests by offering milk tea on request and also non-vegetarian meals, because Atithi devo bhava, remember? When I read hundreds of stories on the internet about the Purushwadi Fireflies festival, I thought they were exaggerating. But I can tell you that there are indeed over a million fireflies in Purushwadi – and not just Purushwadi but the entire district. It is sheer magic…like you’re in some fairy land. I imagined myself as Owen Wilson from ‘Midnight in Paris’. A car had whisked me to this mysterious land by night. We walked over 2km and the woods looked like giant Christmas trees twinkling with neon green lights. It is an experience that can barely be put in words. And no camera can capture that sight either, which is a good thing. Some things are best left for your eyes to see. Since the fireflies are an evening spectacle, we pretty much had the rest of the time to ourselves. Avinash suggested we could climb a nearby hill for the view. I obviously thought it was a bad idea for someone who spends 9 hours in an office chair with no exercise. But on the hill, one could get mobile network, so ‘okay’ I said. Half way through, I gave up and asked them to please go ahead – I didn’t need the mobile connectivity. The village activities like rice husking, pounding and wood chopping were all touristy but made for good camera poses. I played to the gallery. Sometimes that is fun too! There’s also a dam nearby if you want to take a long walk and a river to take a dip. Car headlamps are a nuisance and intermittently ruined the fireflies experience for many. The locals need to be firm and encourage tourists to preserve this biodiversity hotspot and explore the zone on foot. Also while the Grassroutes team are doing a great job, having managed to bring 85% villagers on board this rural tourism project, the monopoly lies with Grassroutes to assign a host. So practically speaking, if the villager’s house is very far from the base camp or if the guest doesn’t choose a homestay option, the villager may not get to host a guest although he may be keen on being part of the initiative. Over dinner at Jaya’s home that night in the company of two guests from Pune, we debated in ‘English’ over aspirations – whether villagers losing their culture for a ‘better’ life like we live in the ‘city’ is really a good thing – where does one draw the line before rural tourism does more harm than good. The answers were ambiguous. cultural festivals, fireflies, Indian festivals, Mumbai Getaways, offbeat maharashtra, offbeat things to do in maharshtra, purushwadi, rural maharashtra, Rural Tourism, Short Trips from Mumbai, unique festivals, weekend trip. Bookmark. It’s a magical experience to see so many fireflies in the dark, isn’t it? I remember watching thousands of them glowing in the darkness on the campus of University of North Bengal. I think Grassroots is doing a decent job of bringing urban millennials to interact with and experience rural India while providing for the locals.